Large Virus Database to Remove Virus, Malware, Ransomware, etc. 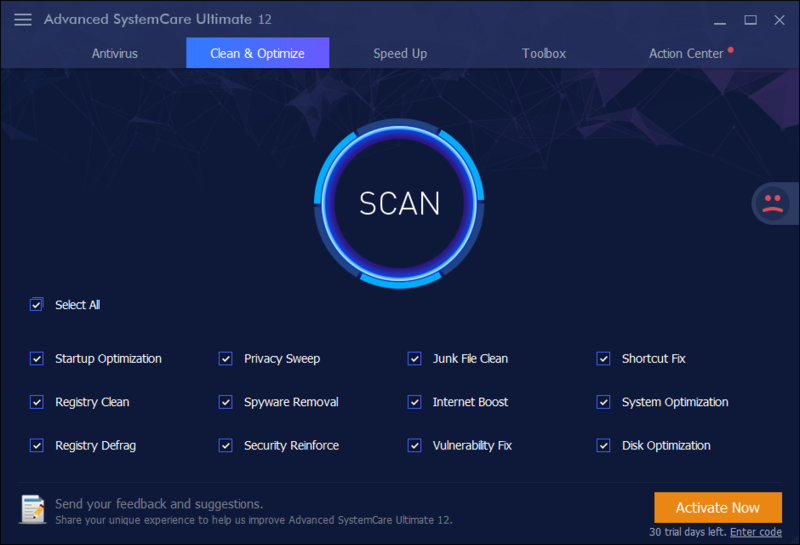 "Advanced SystemCare Ultimate is a powerful anti-virus and system optimization tool." "Advanced SystemCare Ultimate is a powerful anti-virus and system optimization tool. Apart from protecting your PC from malware, viruses and similar threats, it can also boost your PC's performance by applying various registry and shortcut fixes, removing junk files, scanning local disk volumes for system vulnerabilities, etc." 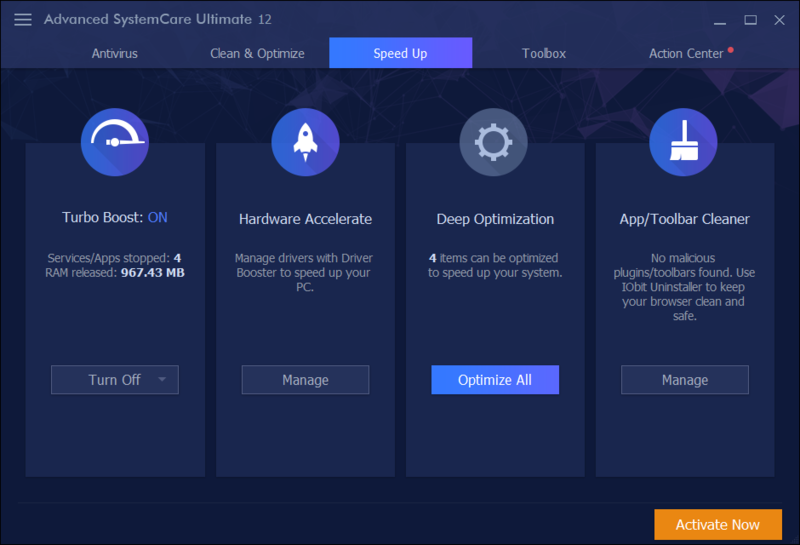 "Advanced SystemCare Ultimate is the new mother load. The big winner!" "I have had a past problem of always messing with my computer. Then I got my first copy of Advanced Systemcare. There is no need to mess around any longer. Now that I have antivirus, included in the product, my need for secondary software is none existent. Advanced System Care Ultimate is the new mother load. The big winner! My computer is always up to date and runs like deer. Unlike other products; there has not been a constant stream of conflicts."